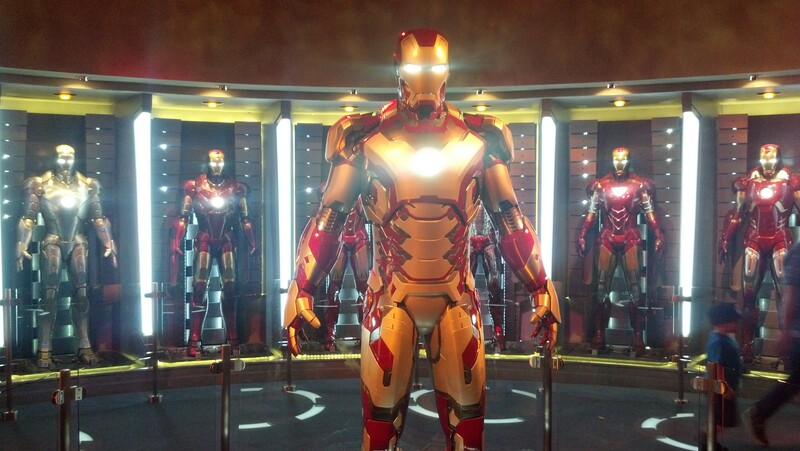 I don’t know about you guys, but I’m totally ready to suit up for the Avengers Super Heroes Half Marathon at the Disneyland Resort. We are less than 3 weeks away from this brand new runDisney race! In 20 days, it will be race day! Let that sink in for a little bit. 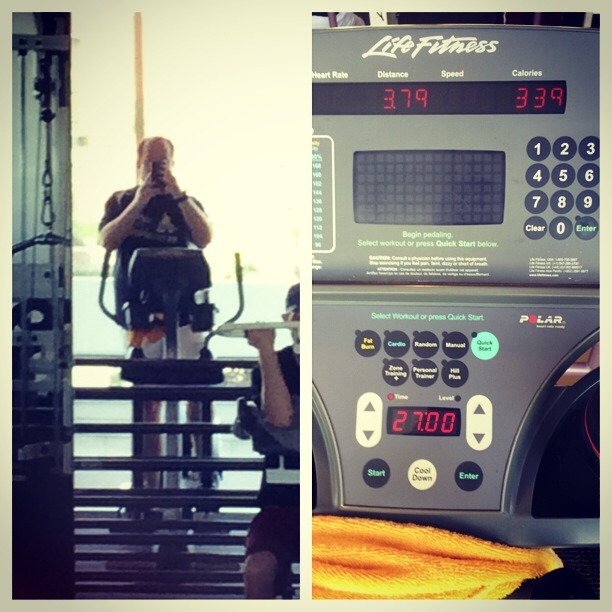 I titled this post Fantastic 4 because of the fantastic 4 workouts I made this week. Let’s look at how the week went down. Shall we? Monday was the typical rest day. I had a wonderful rehearsal with the tenors and basses in the Disney Employee Choir for the Disneyland Candlelight Processional. That’s coming up really quick as well. 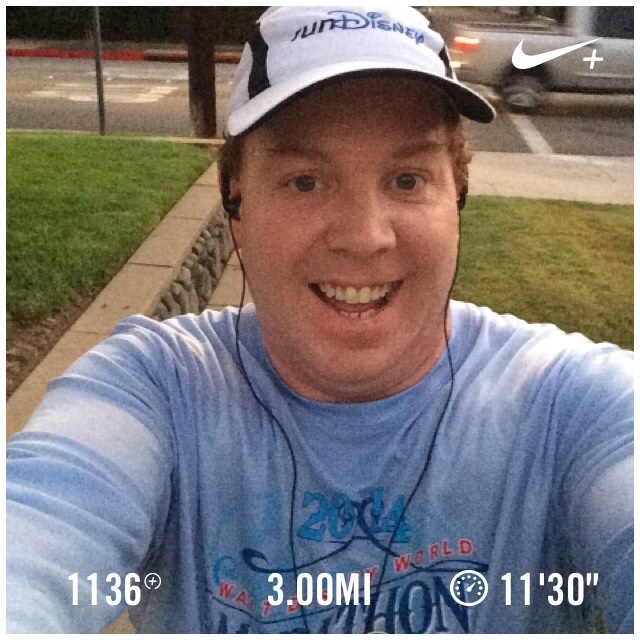 Tuesday, I was up before the sun again to run 3 miles around my apartment. As you can see in the graphic, I continued the streak of 3 mile runs in under 35 minutes. Now that fall has arrived, the temps in the morning are allowing me to wear my long-sleeved race shirts. 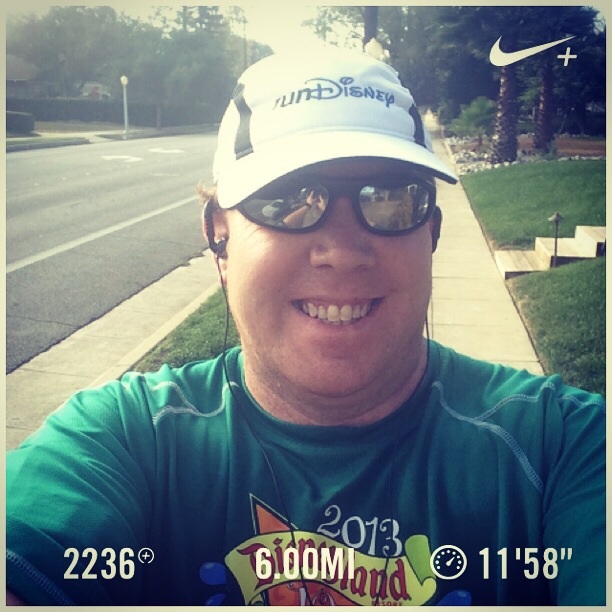 So, I started off the week with wearing my shirt from the Walt Disney World 10K. On Tuesday, I finished in 34 minutes, 52 seconds. I got off to a slow start. The first half mile felt pretty bad. However, once I got past the first half mile, I started to pick things up. The second mile is slightly uphill for most of the way. So, it was the slow mile. I was a little over 24 minutes at the end of 2 miles. I should mention that I saw this at the end of the second mile. 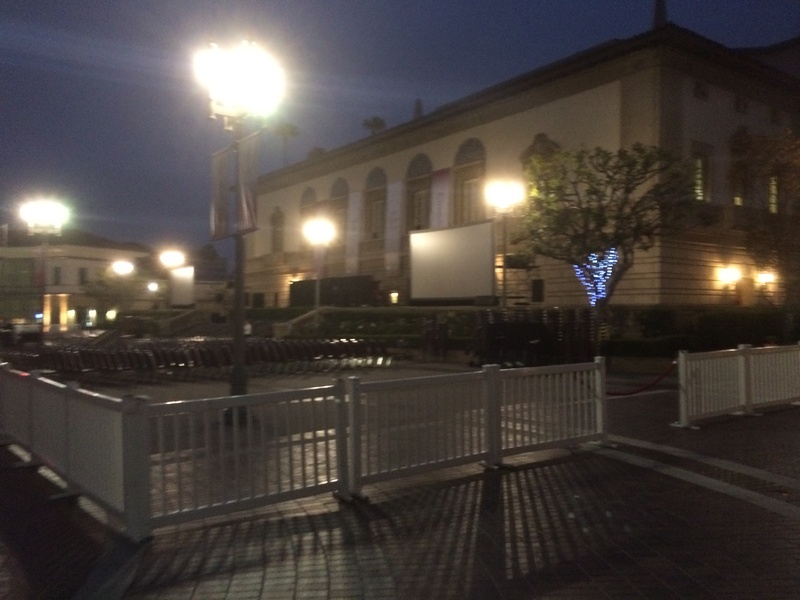 It looks like they were setting up for something again on Tuesday. Since I was over the 12 minute per mile pace at the end of 2 miles, I knew that I needed to kick it up a notch if I was to keep the streak of under 35 minute 3 mile runs alive. I decided that I needed to make the switch to 1 minute run/1 minute walk intervals much earlier than usual if I was to have any chance of keeping the streak alive. After the first 2 cycles in this new interval ratio, things were going good and I could see that I had pulled myself under the 12 minute per mile pace! I kept going. It turned out that my last walk break started at 34 minutes. I could see that I would go over 35 minutes if I walked the whole interval. So, at 34 minutes, 35 seconds, I ran it out all the way until I heard that I had crossed 4 miles. I was so happy to see I was under 35 minutes again! Fun run! Wednesday was another rest day. However, it was anything but another rest day. Brooke and I had our apartment inspected to renew our certification to adopt. It’s been 2 years since we were first certified and we are still waiting. I’m sure I could write volumes on how hard this wait has been. It’s amazing how much 2 years can make a difference. 2 years ago, we had our home inspected at the last part to becoming certified to adopt. It was a rather nerve-wracking day, but ended with Brooke and I so happy to be at the end of the home study and moving on to the stage were we could be placed with a child. 1 year ago, it was sort of sad because it marked the end of 1 year in waiting. This year, for me it was sort of matter of fact. This is where we are. We continue to hope and pray that this is the last certification without a child in our home. However, only God knows what that day will happen. I should have taken pictures of the apartment on Wednesday, because it really sparkled. Each year, Brooke and I go beyond what is being checked out because we want our apartment to shine. On Wednesday, it was looking great! Thursday was huge! It was my best run before work yet! 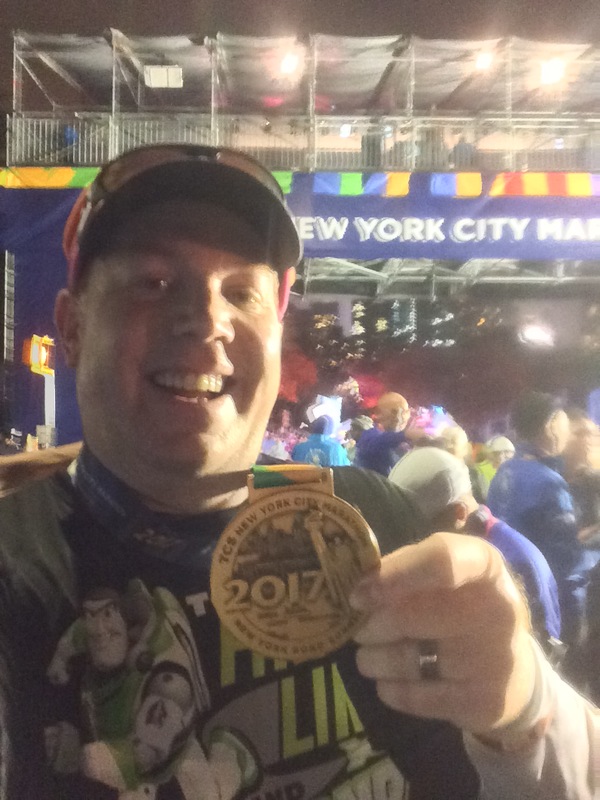 I finished in 34 minutes, 33 seconds! This was a run I really wanted badly. I made sure to get to bed early on Wednesday so I’d be ready once the alarm clock went off. 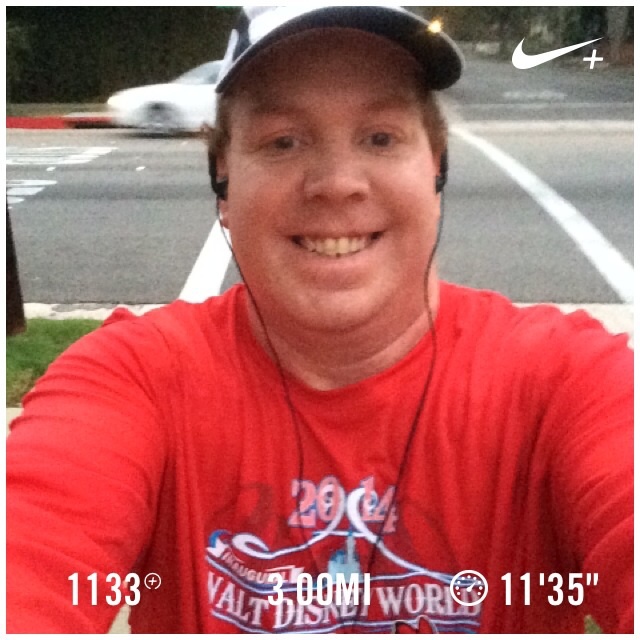 I wore my Walt Disney World Marathon shirt to bring all the good vibes I could to this run. It worked! I got off to a slower start than Tuesday. However, in the second mile I ran faster. I was a little under 24 minutes at the two-mile mark and feeling great. Again, I switched the intervals up at the start of the 3rd mile. Just like Tuesday, I ended with 1 minute run, 30 seconds walk, and run it out to the finish. The fun thing about this run was that when I got to my last run, I could see the finish line in front of me and surged to finish off the run like it was a race! I could see that I had that chance to finish faster than any other pre-work run and made sure to get that mark. Friday was another rest day. By the end of Friday at work, I was wiped out. So, getting to bed early was not very hard. 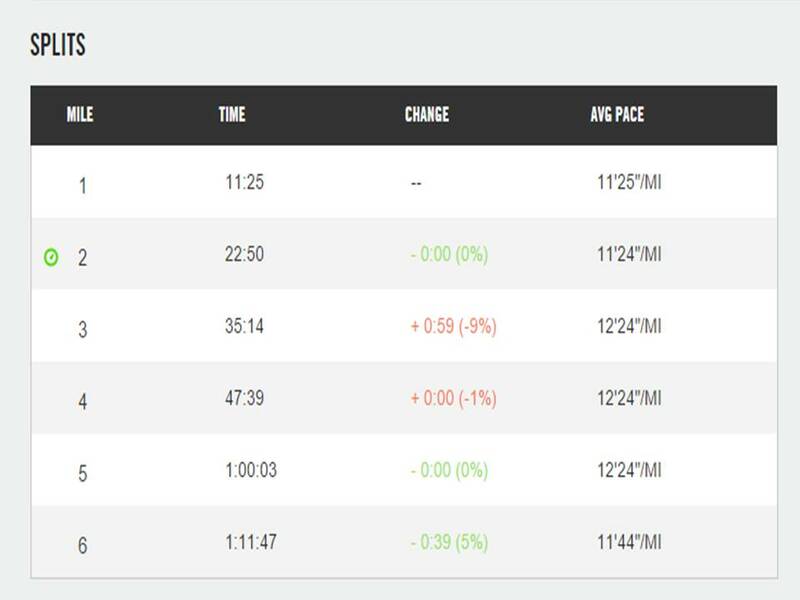 As you can see, I ran mile 1 and 2 within 1 second of each other. Once I get past mile 2, it starts to get harder as miles 3, 4, and 5 go either uphill or are flat. So, with the increased difficulty, it added 1 minute to each of those miles. However, look, I finished each of those miles in 12 minutes, 24 seconds. Then, mile 6 is just like miles 1 and 2. So, the time came back down. I’m pretty proud of the consistency because I don’t really pay attention to that while I’m running. I focused in hitting each run interval and did so for all 6 miles. I didn’t miss one. I ended mile 5 around 30 seconds over the 12 minute per mile pace. It was my fastest 5 miles I’ve done in quite some time. When I got there, I was overjoyed and just had to find a way to finish in 1 hour, 12 minutes. The last mile for this 6 mile route is pretty similar to the last mile of my 3 mile route in the mid-week runs. I was feeling a little too tired to switch up to 1 minute run/1 minute walk ratios until the last half mile. By that point, I could see the 1 hour 12 minute mark as a real possibility. Just like the other runs this week, I ended with running during what should have been a walk break. This time, I started running 15 seconds into the walk break. However, I really wanted to finish in 1 hours 12 minutes. Guess what? I finished in 1 hour, 11 minutes, 53 seconds. So, I beat my goal by 7 seconds! What a great way to finish a great week of running! On Saturday night, Brooke and I celebrated our 2 year re-certification by going on a date night. 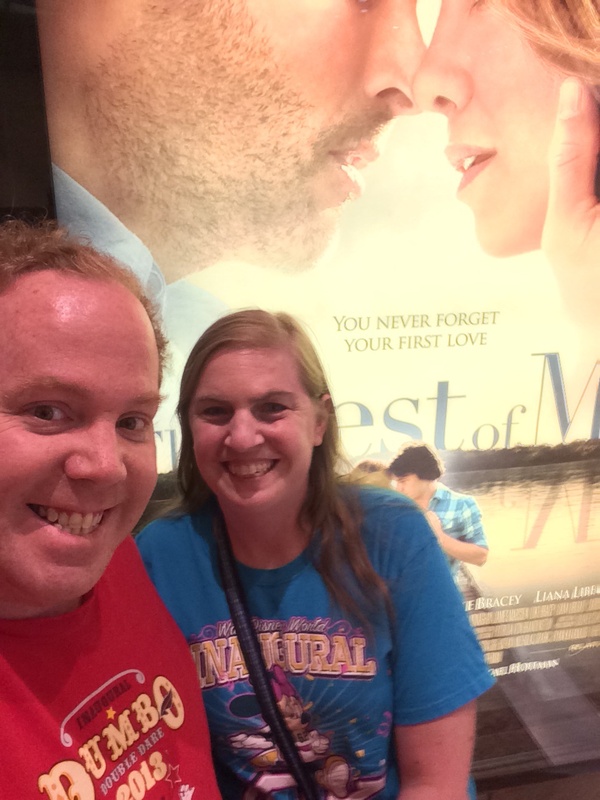 We started off with watching The Best of Me. It’s a total chick flick that my wife really wanted to see. If you like Nicholas Sparks movies, you’ll love this one. If you hate Nicholas Sparks movies, you’ll want to skip this one. After the movie, we went to Marie Callendar’s for dinner. This was all Brooke’s picks. We had fun being out and not worrying about getting our apartment ready for inspection. What a difference a week can make! Sunday, I was back at the gym for another workout. The elliptical machine and I have this love/hate relationship. Sometimes I love it, sometimes I hate it. Unlike the treadmill, this machine is totally powered by you. As you can see, I was on the machine for 27 minutes. I pedal forward for 15 minutes and backwards for 12 minutes. Sunday was a good day with the elliptical machine. I also hit all my other machines exactly as I had planned. At the end, when you hit everything like you want to, the workout feels like a total success. 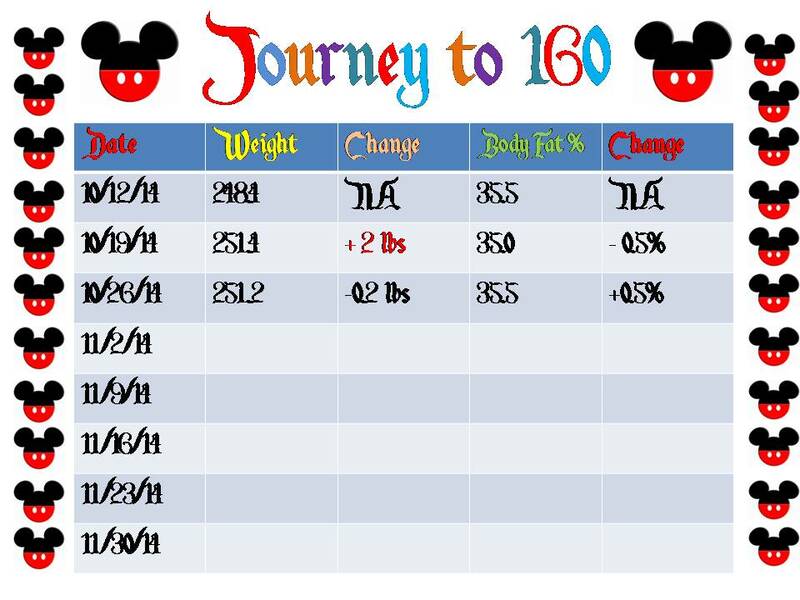 My Journey to 160 saw a small success this week as well. I lost 0.2 lbs.! Okay, I know that’s not a lot. However, as this was my last week drinking 2 sodas a day, I wouldn’t have been at all surprised if I gained weight again. So, the fact that I lost anything is very positive for me! Week 2 of the soda cutting went according to plan. I have finished my last week with 2 sodas per day allowed. Starting this week, I cut back to 1 soda per day. 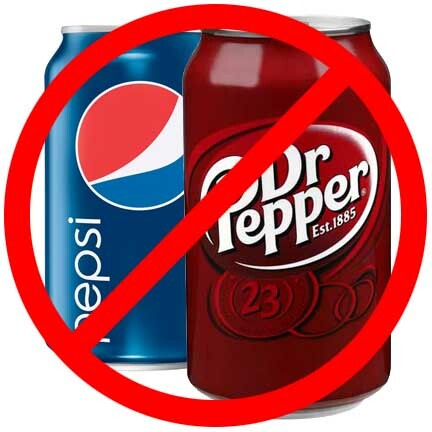 Over the past two weeks, there have been days where 2 sodas per day felt limiting and others where it felt forced. This hasn’t surprised me. The goal is to gain control over soda. That’s why I went with 2 per day. 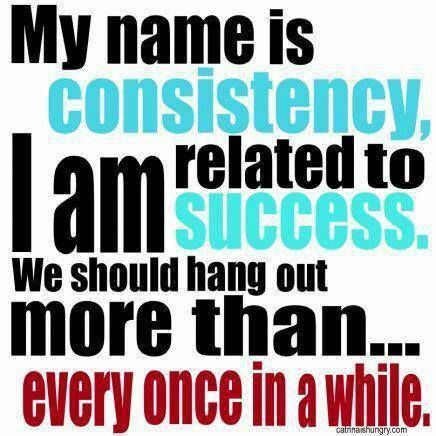 It built consistency. As of today, I’m actually kind of glad that I’ll only allow myself 1 per day for the next two weeks. I’m sure that there will be days in the coming weeks where I want more than 1 soda per day. Hopefully, I can remember how I didn’t like the way 2 sodas per day makes me feel. I’m hopeful that limiting myself to 1 soda per day will also be the start to some real weight loss. We shall see. Overall, this week was a total success! I had a Fantastic 4 workouts this week. Now, I need to repeat that success next week. Consistency is the name of the game this week. Great workout week! And you’re not the only one-I’m so ready for Avengers! !